AKIPRESS.COM - Chinese Premier Li Keqiang's upcoming visit to Mongolia will add momentum to bilateral cooperation and further the development of the Asia-Europe Meeting (ASEM) mechanism, Chinese Ambassador to Mongolia Xing Haiming told Xinhua. At the invitation of Mongolian President Tsakhiagiin Elbegdorj and Prime Minister Jargaltulga Erdenebat, Li will pay an official visit to Mongolia from Wednesday to Thursday and attend the 11th ASEM Summit in the Mongolian capital of Ulaanbaatar from Friday to Saturday. Li's visit to Mongolia will be the first by a Chinese premier in six years and the first by a foreign leader since the recent parliamentary elections and the formation of a new government in Mongolia. Xing said that China and Mongolia are good neighbors that share a 4,710-km border line and they upgraded bilateral ties to a comprehensive strategic partnership – the highest rank in Mongolia's diplomatic relations – during Chinese President Xi Jinping's state visit to Mongolia in 2014. 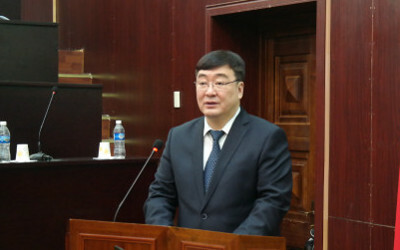 On people-to-people exchanges, Xing said that there were 1.5 million people traveling between China and Mongolia in 2015, among which 1 million Mongolians – one third of its population – visited China. With the Chinese Culture Center in Ulaanbaatar and Confucius Institutes in Mongolia exerting positive influence, cultural exchanges between China and Mongolia have been active and the Mongolian people are having increasingly deeper feelings toward China, Xing said.